Cockade House also offers 7 bedrooms, the land size is approximately 5.5 Acres and there are also spectacular sea views. The guide price is reasonable at US$11.5M and the property was renovated and completely refurbished in 2014. The original house dated back to pre-1700 and was likely a simple design but was redesigned by Oliver Messel in the 1970s. The current owners were careful to renovate the property in a sympathetic Oliver Messel style – the scored Messel concrete floors, the flattened fan arches over the doorways and the impressive columned terraces. The resulting main house together with 4 separate cottages is truly outstanding. Oliver Messel who had connections to the Royal family, first visited Barbados in 1959 to rest after another hectic theatre season in London. He was 55 years old and at the peak of his theatre stage and costume design career. 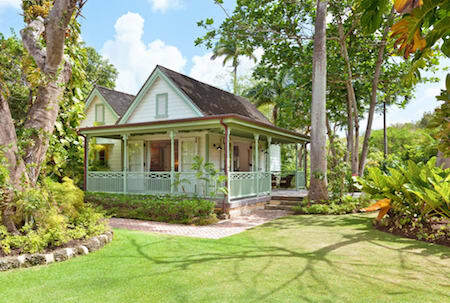 He fell in love with Barbados and over the years helped his friends create beautiful renovations to their homes – including Fustic House, Cockade House, Crystal Springs, Alan Bay and Mango Bay. His own home on the beachfront at The Garden, St James, Maddox, was an excellent example of his work and he even hosted Princess Margaret there. His friend Colin Tenant, commissioned Messel to build most of the homes on Mustique allowing him to spend a lot of time there. However, Barbados was where he loved most and so he spent his later years in Barbados up until his death at 79 in 1974. The owners of Cockade House kindly allowed the Barbados National Trust to open the house to the public on March 22 2017 and the detailed walking guide can be found here. 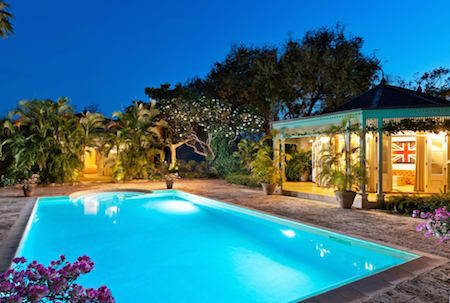 This organization is invaluable in increasing public awareness of Barbados’ historic and architectural treasures. 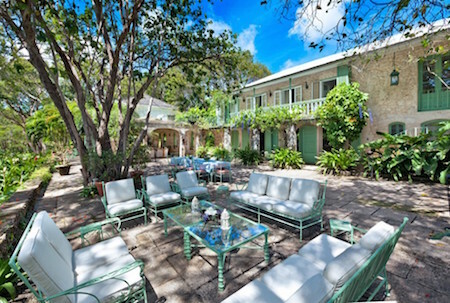 Their annual Open House Programme runs once (sometimes twice per week) during the winter months allowing visitors and members of the Trust to view many of the beautiful homes for which Barbados is well known. Funds raised from the Open House programme go a long way in supporting the work for the Trust. 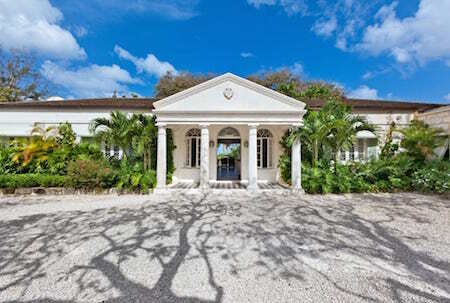 You can view more information on the Barbados National Trust Open Houses here.